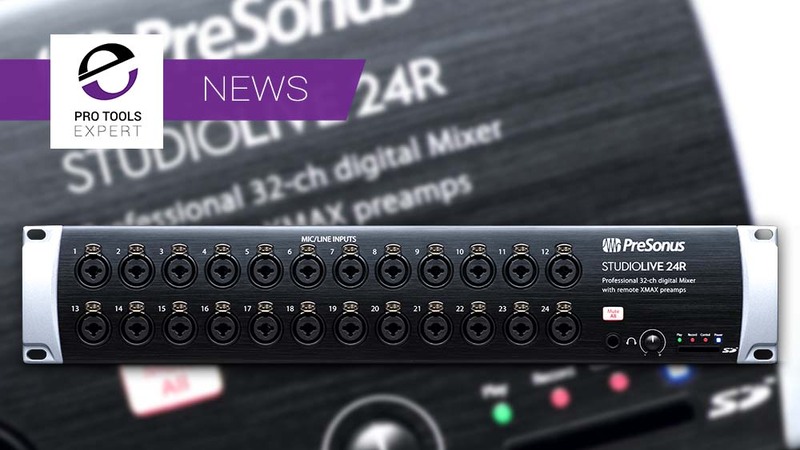 Following on from the launch of their 5 port AVB Switch, Presonus have announced the StudioLive Series III rack mixers which can serve as simple AVB stage boxes, combination stage boxes and monitor mixers, or powerful standalone mixers. While principally aimed at the live market, these AVB networkable stage box/mixers would be very capable additions to a studio, offering quality preamps and Fat Channel processing for low-latency recording with or without effects. You also get the Studio Magic Plug-in Suite for Mac and Windows, which includes seven popular plug-ins in AAX format. There are three alternative models, the 2U StudioLive 32R and StudioLive 24R and the 1U StudioLive 16R. All three models are fully recallable, including remote-controlled XMAX preamps. The two larger models each have 26 mix buses, including 16 FlexMixes, 4 dedicated subgroups, 4 internal effects buses/processors, and the stereo main mix bus. The StudioLive 16R has 6 FlexMixes, 2 effects buses, and the stereo main bus for a total of 10 mix buses. An AVB Ethernet connection enables you to network compatible computers and stream up to 55 (StudioLive 32R and 24R) or 32 (StudioLive 16R) channels of audio to and from a Mac or Windows PC. You also get 40x40 (StudioLive 32R and 24R) or 18x18 (StudioLive 16R) recording via USB 2.0, giving you a choice of computer recording methods. A separate 1 Gb Ethernet port can connect to a wireless router or directly to a computer for remote control of all features via a wired or wireless connection. Mix wirelessly or over a wired network from anywhere using free UC Surface touch-control software for Mac, Windows, Android tablet, and iPad. Record with any software that supports ASIO or Core Audio. Musicians can control their monitor mixes onstage with free QMix-UC for iPhone, iPod touch, and Android devices.